Andy Kluthe is an illustrator and comic artist from the Greater St. Louis area. He is best known for creating the web comic Nerd Rage and his critically acclaimed contributions to comedy sites, Dorkly and CollegeHumor. 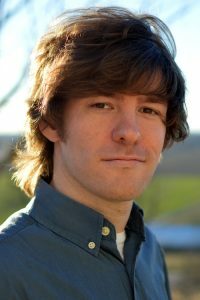 He is currently the artist for the original series The Legend of Jared on CollegeHumor’s Dropout. He has worked with Udon, Capcom, Boom Studios, Cartoon Network, Marvel and his art has been featured through CollegeHumor, Kotaku, The Huffington Post, Buzzfeed, The Daily Dot, TokyoPop, and Adult Swim. A graduate of the Savannah College of Art & Design, Andy has been drawing for longer than he can remember. He enjoys all manner of gaming and long walks catching Pokémon with his Brittany Spaniel, Lucy.